The Vapor Storm Puma Baby TC MOD is right here to serve you! 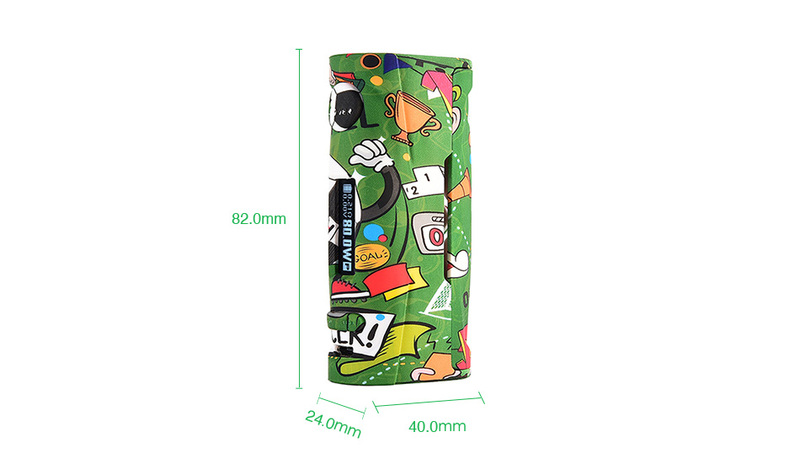 The Vapor Storm Puma Baby MOD comes with the unique graffiti series design which looks much more fashionable and attractive. Made of high quality ABS plastic material, the Vapor Storm Puma Baby is quite lightweight and can bring you comfortable hand feeling. Working with single 18650 battery(not included), the Puma Baby MOD can reach up to the max output of 80W with 10s continuous vape time. Together with the bright 0.91 inch screen, it will inform you essential parameters you need and bring you convenient operation.